We recently went out to dinner to a restaurant we have never been to before in Hong Kong, called DinTaiFung. They have restaurants all over the world, including one in Sydney. They are apparently world famous for their steamed dumplings. The menu had a huge selection of different dumplings to choose from (many more that are listed on their website), we ordered two different types, the usual pork dumplings (Xiao Long Bao) and spinach dumplings. Both types were delicious. We had to order a second serving of the pork dumplings as Abbey ate 6 or 7 of them all by herself! The noodles with the peanut soup were also scrummy, we ordered a second serving of that too! 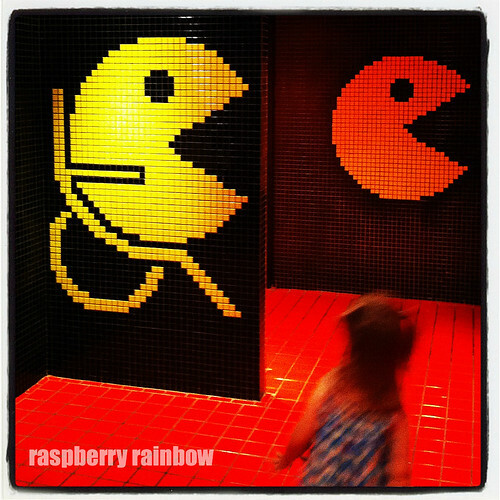 The toilets in the building had these fabulous Pac-Man tiled murals. Do you like Pac-Man? I do. It was part of my childhood. I was like an excited child, taking photos out the front of the toilets. I did get a few strange looks, I can tell you. Pac-Man in a wheelchair too. The door handles in the toilets were ghost shaped, pity I was not able to get a photo of them. We will definitely be eating at DinTaiFung again, not just for the delicious food, but to see these fabulous Pac-Man murals again. 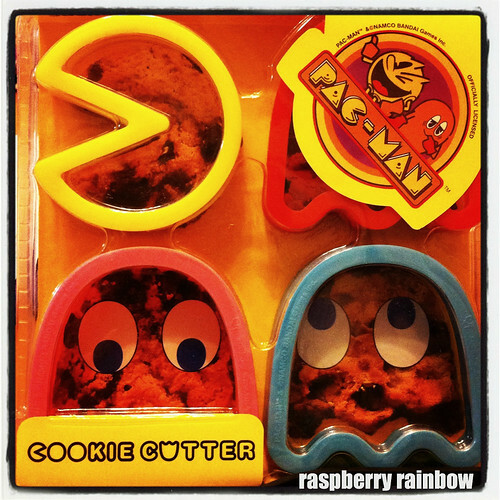 While I am still talking about Pac-Man, how cool are these cookie cutters I bought? 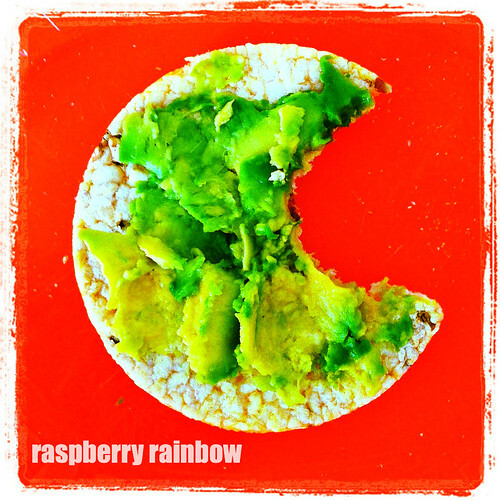 A few months ago I was eating my lunch, and saw this Pac-Man in my partially eaten avocado rice cracker. Yes, I love Pac-Man. Almost as much as I love Space Invaders. 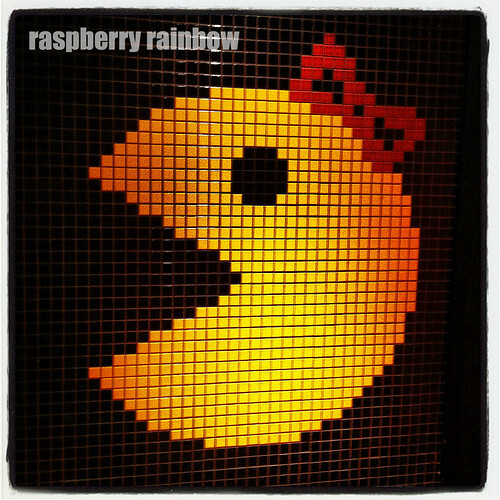 I loved those pacman photos when I spotted them on instagram. Pacman is still one of my faves from the 80's along with Galaga and Donkey Kong! Oh my goodness, boy does this take me back! We LOVED pacman in our house as kids, we had the little electronic games and do you remember those pacman cards, with the surface like a scratchie and you'd scratch away at them to reveal if you had a pacman or a little monster under it!? I only just thought of those while reading your post. Good times! Dumplings are my thing . OMG where did you find those!!!!! I love packman...I dream of owning a table top style pac man game!